Why You Need Antioxidants in Your Life. Posted by Joyce with Comments Off on Why You Need Antioxidants in Your Life. Let’s face it—skin loses its luminosity with time. It sags, it wrinkles, spots appear, and elasticity disapears. While you can’t control genetics, you can work to maintain the health of your skin by giving it the care it deserves. Dermatologists and skin health professionals recognize the potential of antioxidants to support skin health. Here are the top three reasons why you need antioxidants to provide nourishment support for your skin. Free radicals are produced by the body in daily metabolism and interactions with external factors. They’re very volatile and can inflict damage to cells and cause inflammation. Unless antioxidants are at hand to neutralize the damaging effects, free radicals will increase risks of certain diseases, cause cellular damage and alter DNA, which can result in aging and illnesses. Eat a diet rich in antioxidants to help you keep free radicals in check. Use skin care products with antioxidants to protect against cellular damage to skin. Your skin is your body’s defense against the elements. Wind, smoke, sun and pollutants in the air, all of these external factors can generate free radicals which can weaken the cellular structure of the skin. The results? 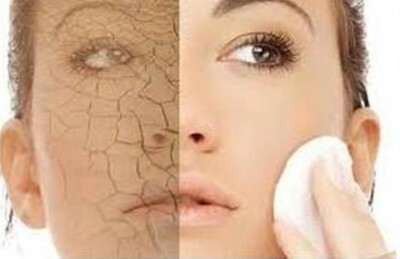 Age spots, premature aging, wrinkles and skin cancer. Antioxidants work to stop free radicals from starting chain reactions under the skin and destroying its plump and elasticity. At Privy Skin Care, we know all about what antioxidants can do to provide nourishment support for your skin. That’s why we formulate skin care products and offer facials and spa treatments infused with antioxidants.